The coffeehouse industry continues to flourish globally, with new cafés opening daily — even in markets that appear to be saturated. This, of course, has led to a growing demand for higher quality coffee (this is not new news). However, a less-talked about beneficiary of the booming coffeehouse culture is the actual coffee machine. I still fondly recall the aroma of coffee wafting through the air from the kitchen up the stairs into my bedroom as my parents’ Mr Coffee – and later Black & Decker – coffee machine noisily brewed (the machines were much noisier then unless it’s my imagination) a pot of coffee every morning. The enticing scent and comforting sound are permanently embedded in my childhood memories. Global coffee machine sales are likely to reach 58,675 thousand units in 2019, growing at over 4% over 2018, according to a new Fact.MR study. intelligent innovations by leading coffee machine industry players. The FACT.MR Coffee Machine Market study finds that drip coffee machines will account for nearly 43% of the total coffee machine sales in 2019. Easy operation, simple design, and quality brewing are the key factors responsible for the significant demand for drip coffee machines. Furthermore, a good price point of drip coffee machine is another reason for the machine’s popularity. 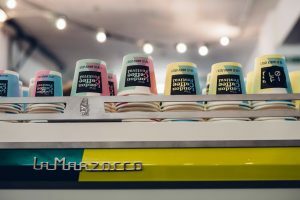 The study also reveals that while drip and steam coffee machines continue to be lucrative, despite a slowdown, sales of single serve coffee machines are expected to increase over 5% this year. Semi-automatic coffee machines remain favourable pursuant to the advantages of “human control,” affordable price and many other multimodal factors. Fact.MR reports that semi-automatic coffee machine sales will surpass 27,000 thousand units this year. However, sales of automatic coffee machines are also rising as consumer preference for convenience, speed, quality and brand image continues to evolve. Consumer propensity to enjoy specialty coffee flavours and to experience convenience at home can be attributed to rapidly escalating sales of coffee machines in the residential sector. The study notes, “In the automatic coffee machine marketplace, disruptive innovations are being introduced that cover consumer sentiments for taste as well as convenience.” Single unit and one touch for a cup of coffee, options of personalization and features of convenience in the form of mobile application-based control are few of the intelligent innovations recently introduced in the market. But the growth is not coming from home use alone. 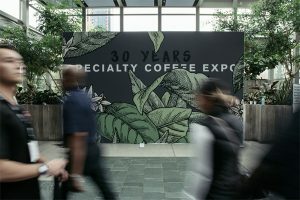 The study projects that cafés will continue to register higher sales of coffee machines “for an evident reason of being an indispensable unit in cafés as compared to other food and beverage stores.” Per the study, 3 in 10 coffee machines were sold to cafés in 2018 and the status quo will continue in 2019. Restaurants will report the second largest sales of coffee machines. Among all the end uses (hotel, restaurant, café, institutional and residential), after café, sales of coffee machine are expected to continue to grow in the residential segment. 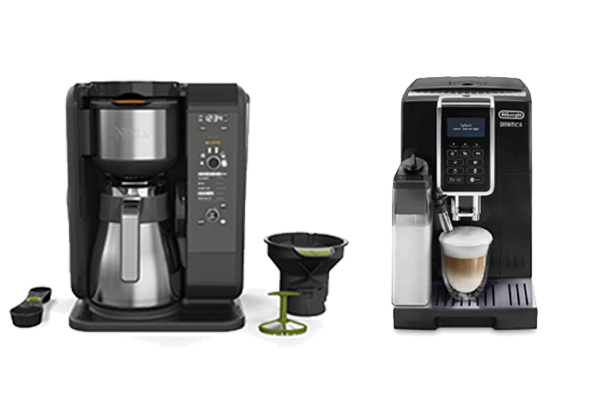 North America and Europe continue to present substantial demand for coffee machines. 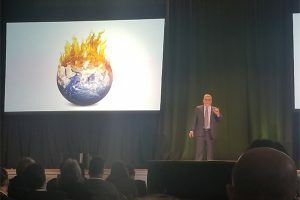 The study finds that North America will continue to register strong demand for coffee machines, accounting for over two-fifth of global sales this year. Europe registered the second largest demand for coffee machines in 2018 and the trend is likely to continue in 2019 with one fifth volume share in the global market. The coffee machine market will remain stable as the Fact.MR study projects the category to grow at 4.6% CAGR during forecast period, 2018-2027. So, although consumers are embracing coffee brewing methods such as pour-over, French press and Chemex, don’t count out the good, old coffee machine just yet.